Carlos Sanchez Miranda, Director of CESC. Claretian missionary. Born in Chepén (La Libertad, Peru). Religious profession on January 19, 1992. Priestly Ordination November 29, 1997. 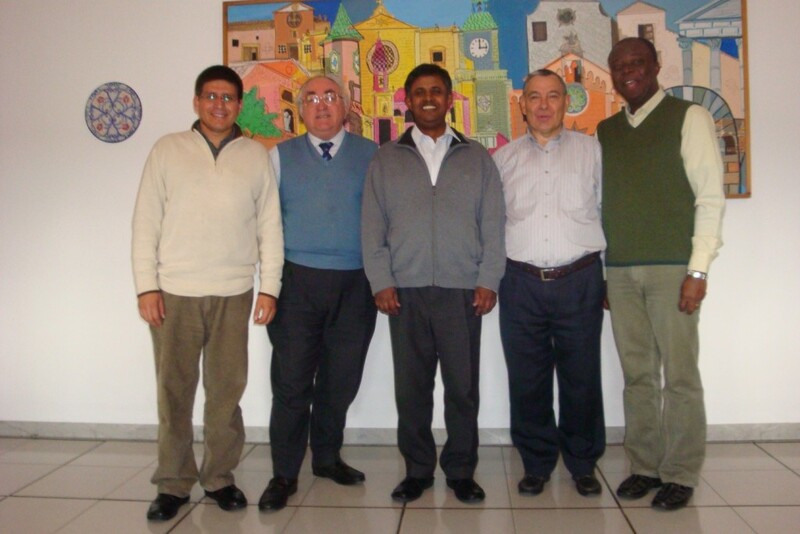 Degree in Theology from the Pontifical Faculty of Lima. From 1997 to 2009 former of applicants and prefect of students in Lima. Currently, he is finalizing his Doctoral Thesis on Popular Missions of Father Claret in Catalonia from 1840 to 1848 (Comillas University, Madrid). Josep Rovira Arumí, Claretian Missionary. Born in Vic (Barcelona). Religious profession on July 16, 1959. Priestly Ordination on July 2, 1968. From 1964 to 2012 student and professor at the Claretianum College (Rome, Italy). Doctorate in moral theology by the Pontifical Lateran University (Rome). From 2013 to 2015 professor at ICLA (Quezon City, Philippines). Ricard Oliva Frago. Born in Sabadell (Barcelona). Degree in History (UAB), Degree in Archival and Information Management (UAB), Postgraduate in Preventive Conservation and Heritage Management (UAB). 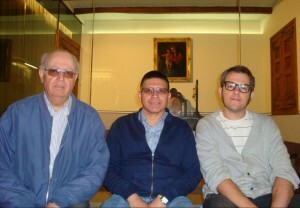 Fr Josep Rovira, Fr Carlos Sánchez and Mr. Ricard Oliva. Fr. Carlos Sánchez, Fr. Jesus Palacios, Fr. Jesu Doss, Fr. Severiano Blanco (collaborator) and Fr. Anthony Ejikeme.